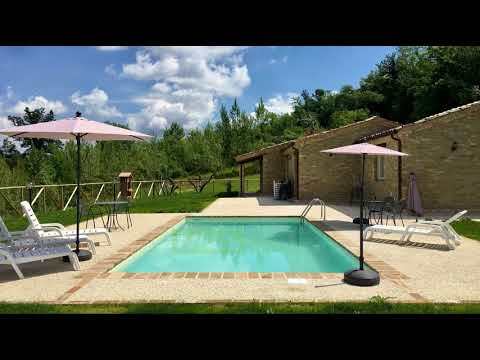 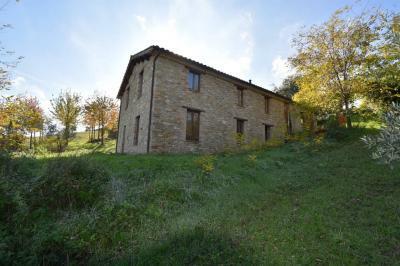 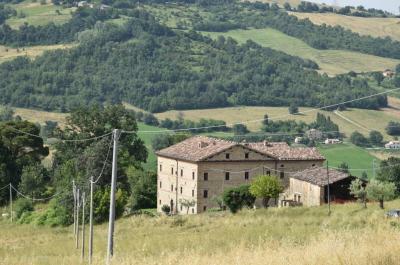 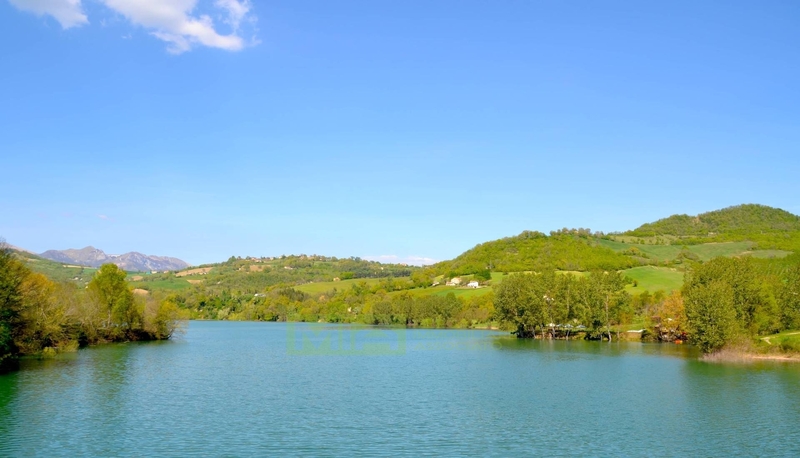 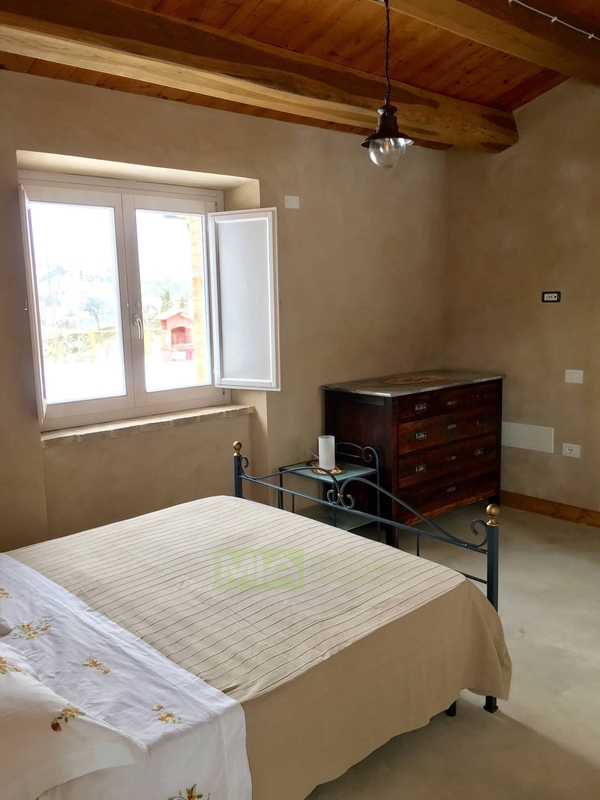 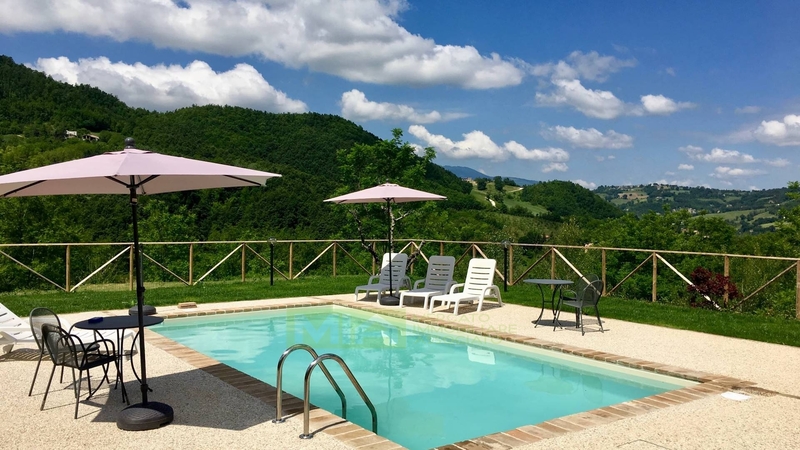 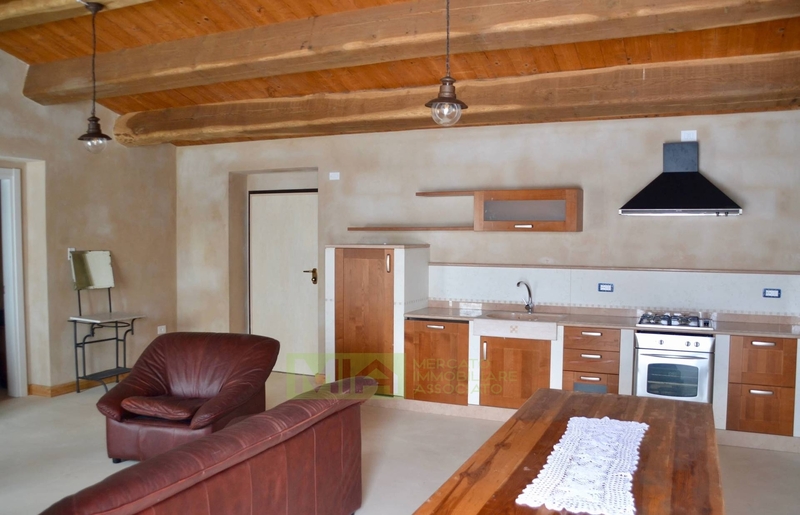 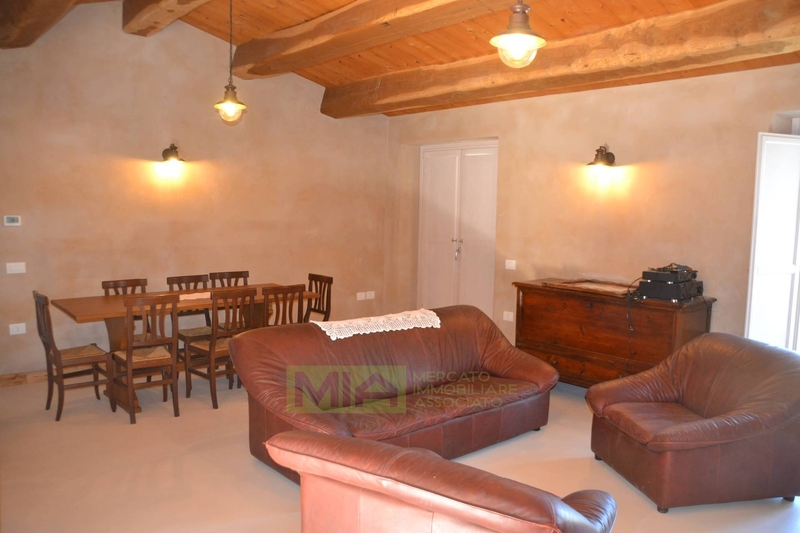 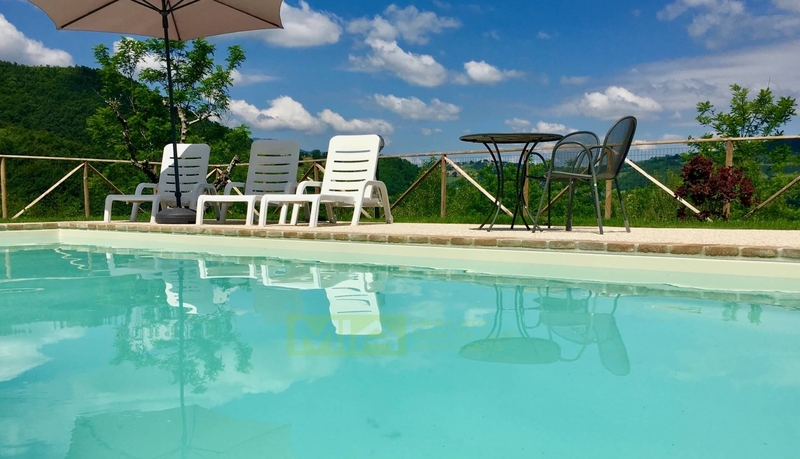 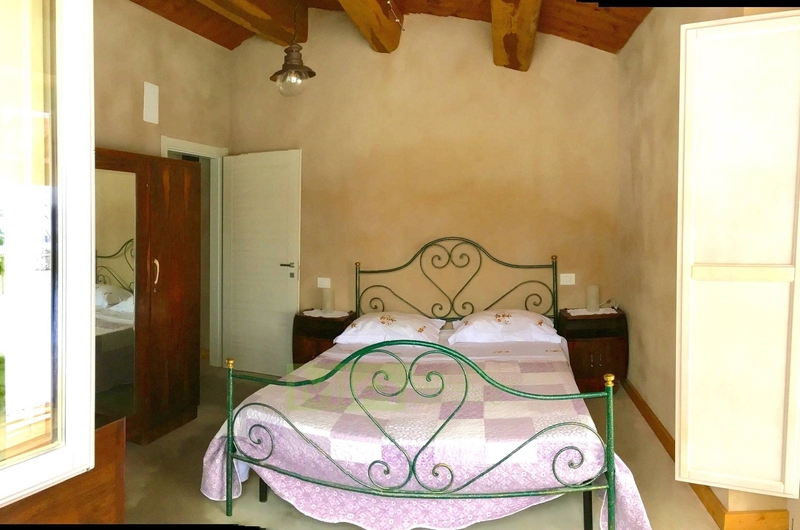 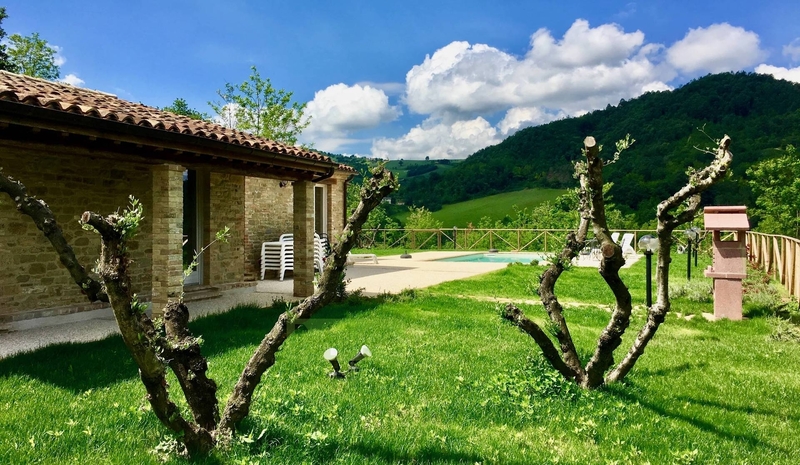 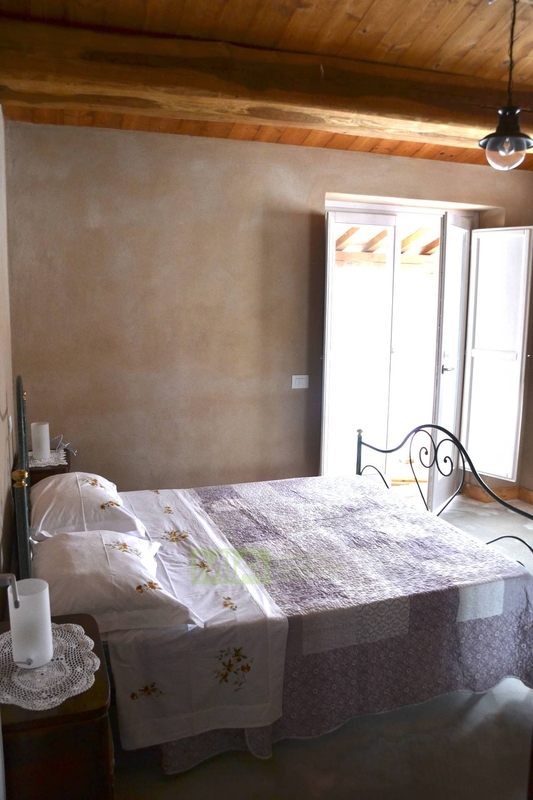 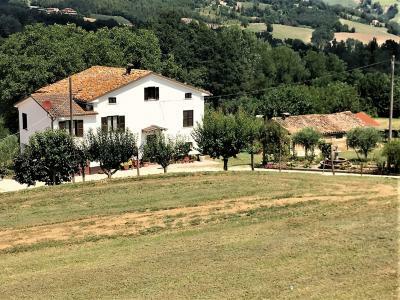 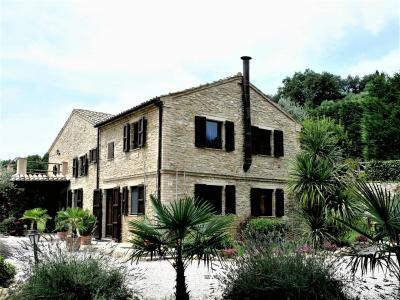 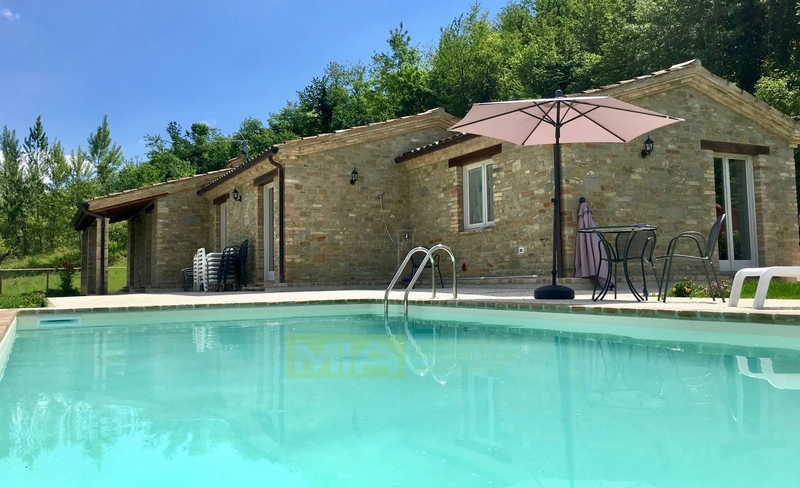 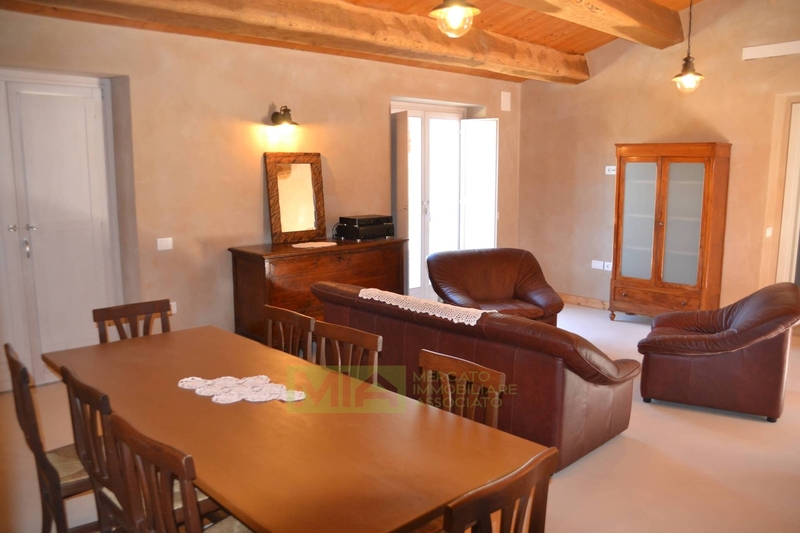 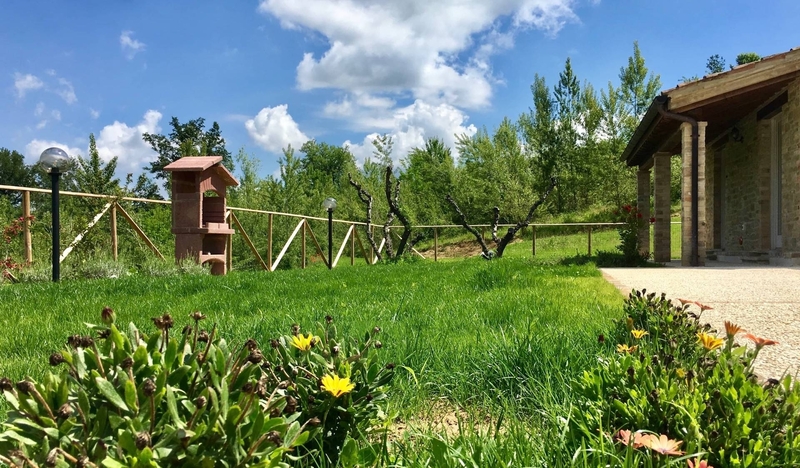 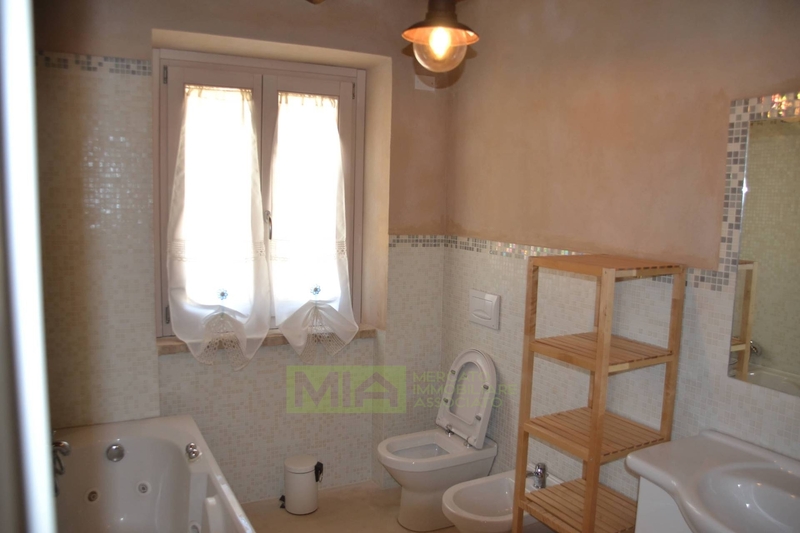 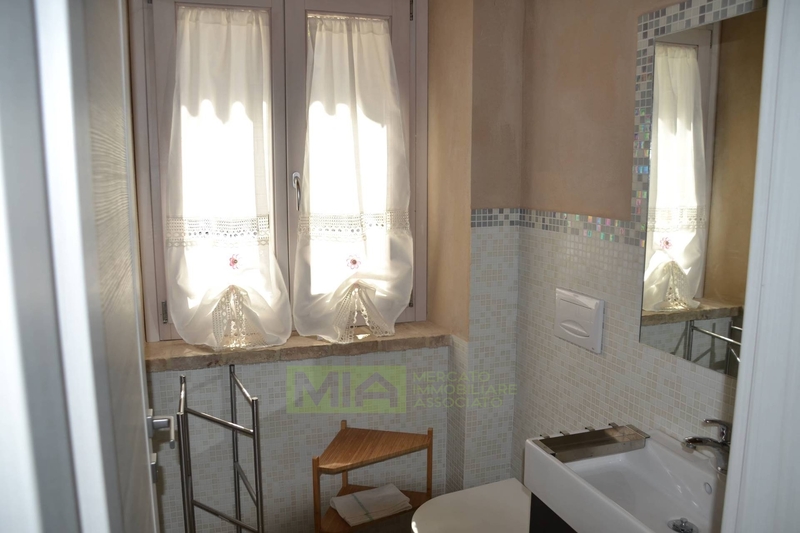 The farmhouse, fully furnished, is located on a single floor and it consists of : large livingroom with kitchnette in the central body with and sleeping area on the sides and precisely two double bedrooms and bathroom with Jacuzzi bathtube on one and the master, en-suite bedroom on the other side. 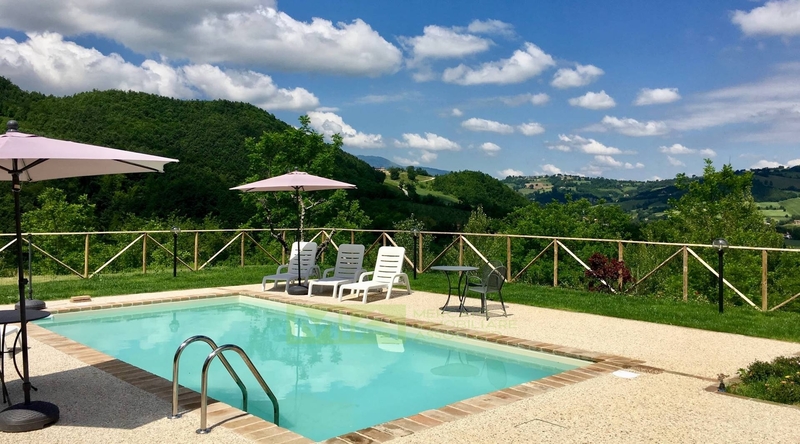 All the rooms look out on the garden and swimming pool, as well as the beautiful hills and mountains. 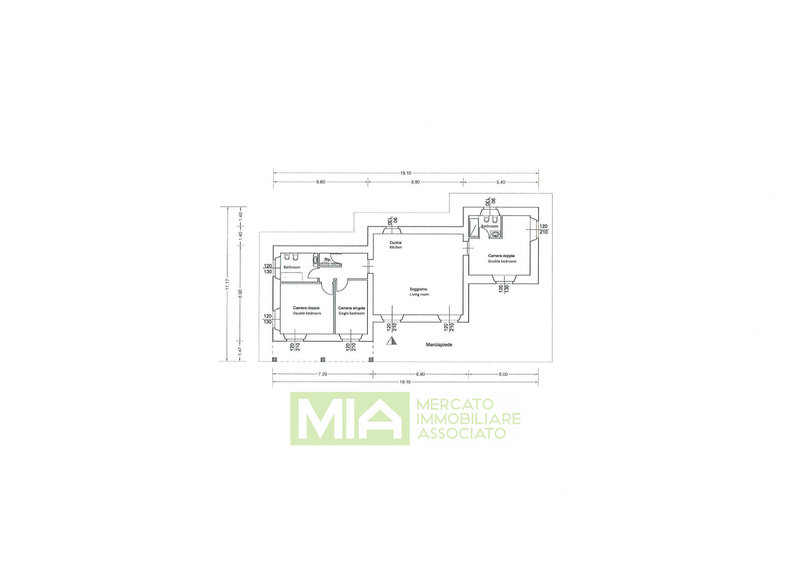 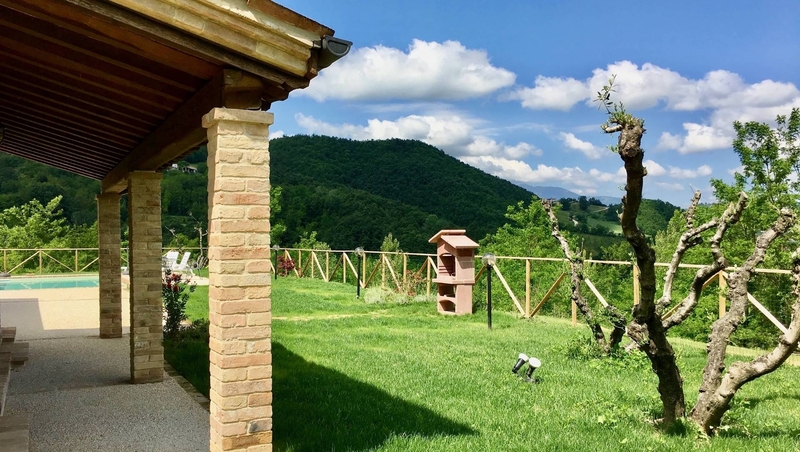 The outside is enriched by a portico and a courtyard of circa 200 sq.mt , a large area used as parking, BBQ, solarium as well as a large plot of sewable land. 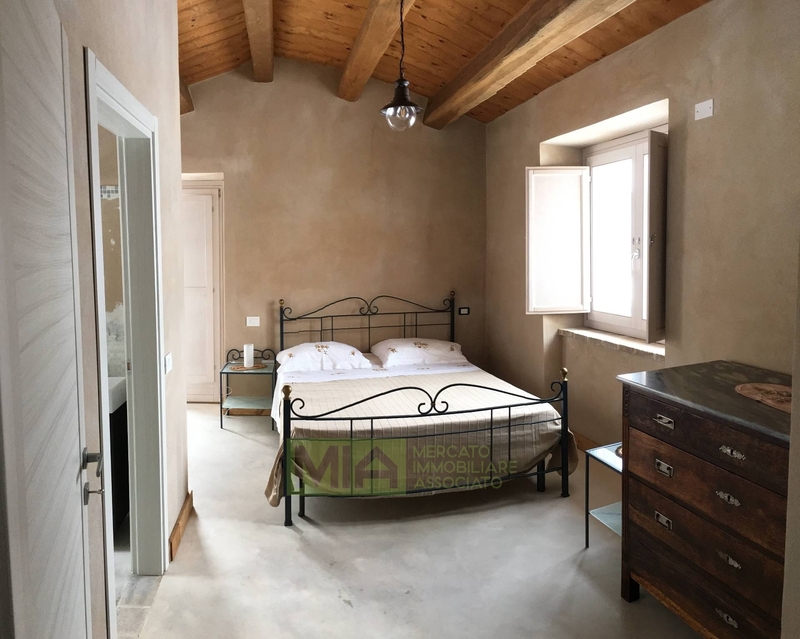 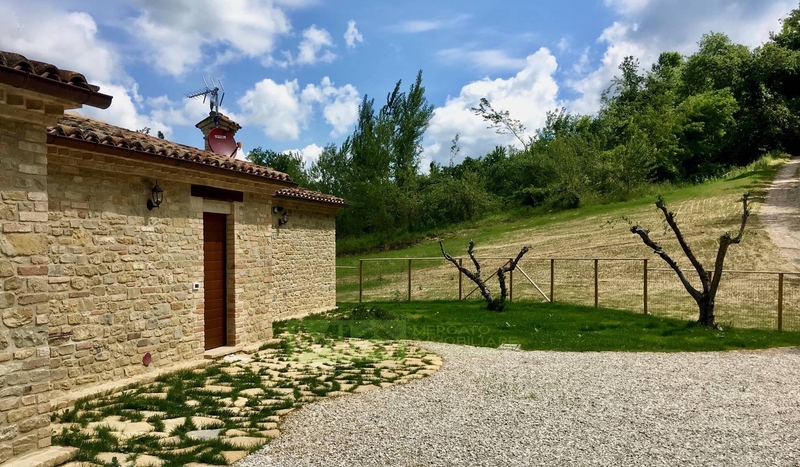 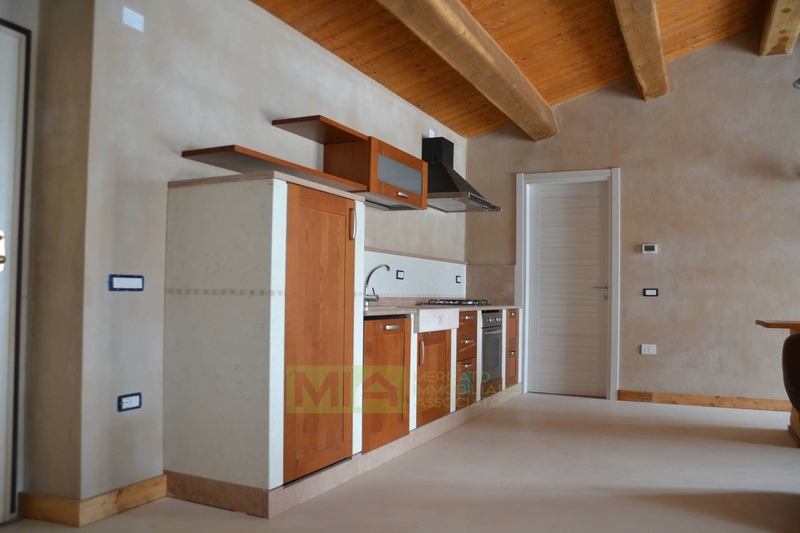 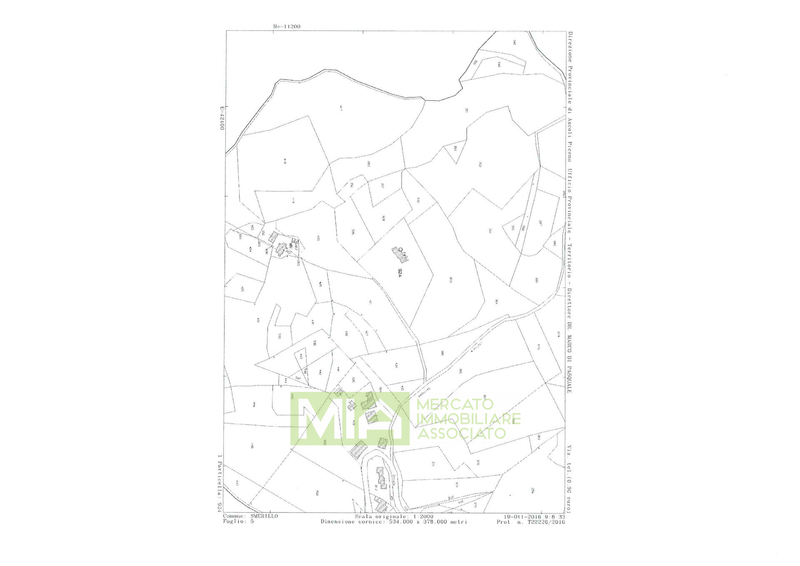 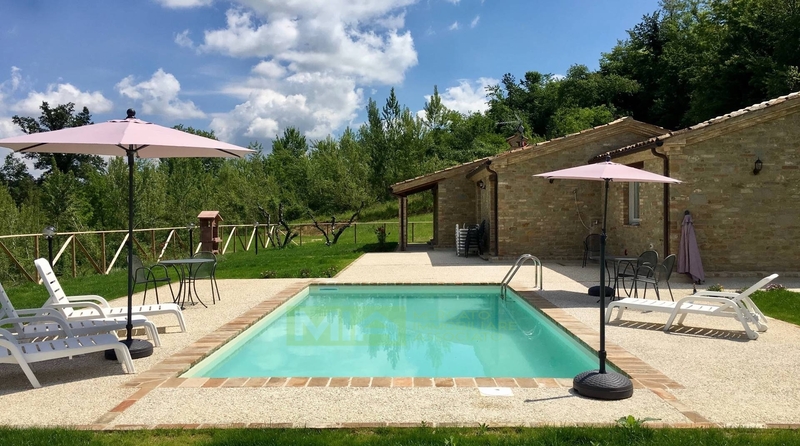 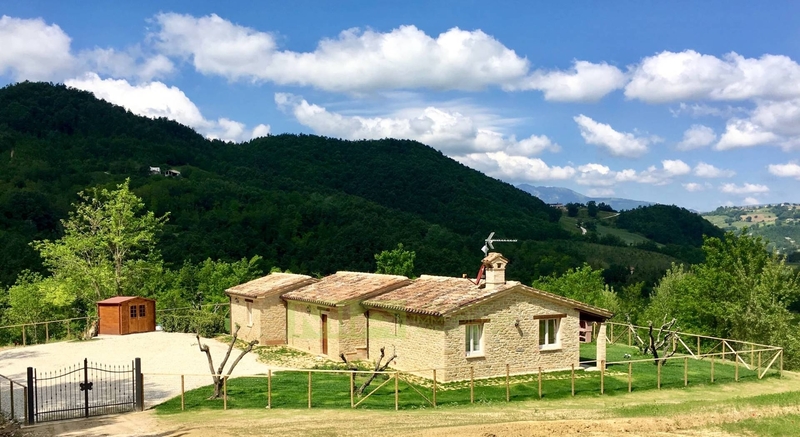 The farmhouse has been entirely rebuilt using a mixture of old and modern materials , in compliance with anti-seismic regulations and with an excellent insulation for high energy saving. 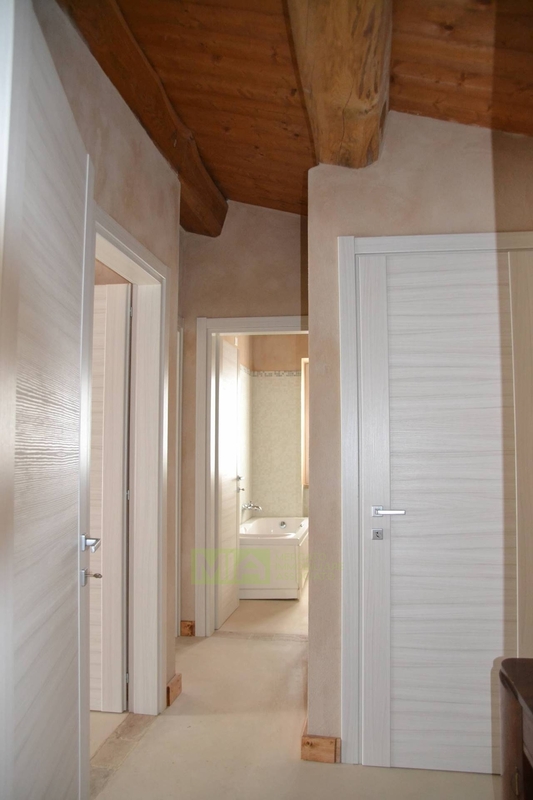 There is underfloor heating , high quality finishings, air conditioning, to provide a house with maximum comforts.